Sharing and highlighting the collections online is a legitimate ambition: communication, cultural mediation, and especially the easiness of publishing them are strong assets in the pursuit of this objective. Collections can be shared in a classical way on a web portal, or in a much more suprising and innovative way thanks to the latest web technologies. Air France went for the second option. 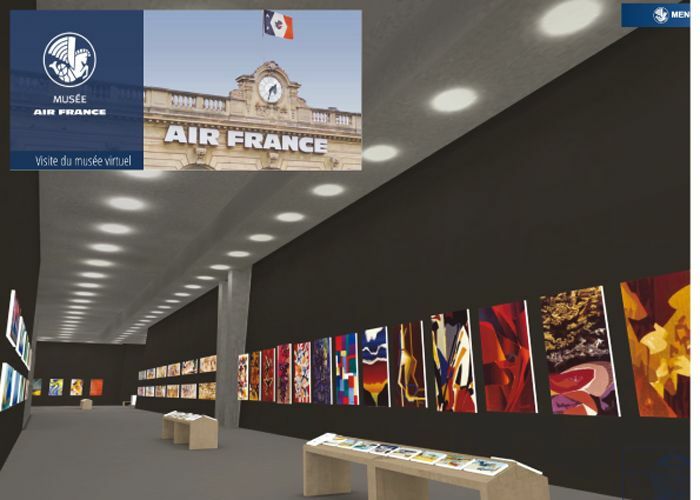 The Air France Virtual Museum can be visited online. Visitors can walk around an airport-like 3D museum featuring several thematic rooms. Just like a video game! The Air France communication team can "virtually" install the desired artworks, set up temporary exhibitions, update the visitors' path... In short, a true museum open to everyone! For SKINsoft, each partnership is an opportunity to put a new, innovative approach in practice on both the mediation and technical level. Air France, Musée Rodin, Musée national de l'Education, Fenimore Art Museum... Every client has complete control over the publication of their collections thanks to the dedicated module called SKINweb.